Alisa Garnek holds the Certified Financial Planner™ designation and is responsible for working with the firm’s clients to determine the best strategies to meet their financial goals. 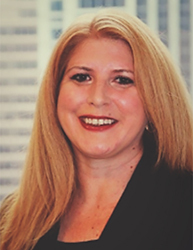 Alisa brings 20 years of experience in financial planning, wealth management, financial services, tax preparation, accounting services, and retirement planning strategies. Alisa graduated with a Bachelor of Science in Accounting from University of Delaware. She also holds a Master of Science in Taxation and Financial Planning from Widener University.